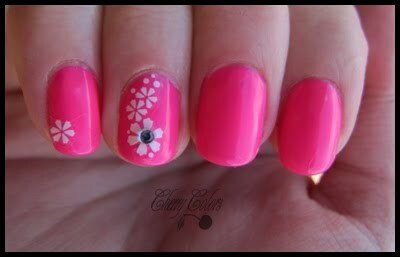 NOTD: Neon version 2.0 - Cherry Colors - Cosmetics Heaven! 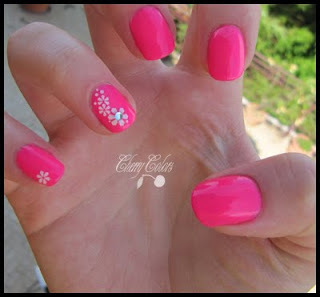 This will be my 2nd week wearing this nail polish (it starts today,.. :P). It's fantastic, and it's also my pedicure..
Today I also added some nail stickers by fingrs.